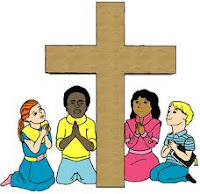 The Situation: Children wonder, “Why bother with worship?” Many kids understand very little about the purpose of worship. Rather than focus on God, they often center on themselves. Children want to be “enter- tained” not “bored.” They lose sight of the fact that God is the primary audience. The Solution: God made people for the express purpose of worshiping Him. Worship is our primary purpose in life—not an optional activity each week to endure or to enjoy. Worship means “worth-ship.” We give God special devotion and honor because He is worth-y of worship. What You Can Do: Jesus explained that worship involves both the head “truth” and the heart “spirit” (John 4:24). Take time to know more about who God is. The better you know Him, the more heartfelt your worship. Shallow understanding of God’s character leads to superficial worship. Deep under- standing of God’s qualities opens the door to wholehearted worship.